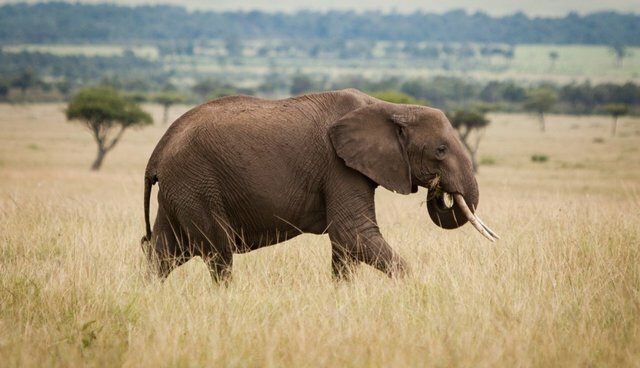 The Kenyan government kicked off its recent poaching crackdown with a bang last weekend, when wildlife officials nabbed two policemen for transporting illegal elephant ivory. The policemen were caught with with six pieces of ivory at a roadblock while travelling from the central Kenyan town of Meru to Nairobi Friday night, AP reported. KWS officials are preparing to prefer charges against the suspects on Monday (May 4, 2014) at a Thika Law Court relating to being in illegal possession and dealing with a trophy of an endangered species. After 18 rhinos and 51 elephants were poached already this year, the government said last month that it will oversee the country's wildlife authority for three months to help save their vulnerable elephants and rhinos -- a move that was applauded by conservationists. Kenya also announced last month that it would deploy a veritable "drone army" to monitor its wildlife, after a pilot program found that drone security reduced poaching by a whopping 96 percent in a protected area.